Despite the difficult legal and social history of cannabis in the United States, everything points to the fact that in the 21st century this plant has firmly taken its place in the pharmaceutical industry. Many health experts have expressed their support for medical marijuana, among them the former U.S. Surgeon General Dr. Joycelen Elders, CNN’s chief medical correspondent Dr. Sanjay Gupta, deputy director of the Duke Cancer Institute Dr. Steven R. Patierno, and many more. David Goldstein is a co-founder of PotBotics, a company that bills itself as the first biotechnology company to blend robotics, artificial intelligence and cannabis research. David believes that for the millions who suffer from chronic, debilitating conditions the benefits of cannabis will be too great to ignore. As marijuana is being legalized in a growing number of states, more and more dispensaries are appearing and becoming more and more like traditional pharmacies with a clinical official feel. Like any successful business, the dispensaries can’t ignore the modern mobile technology. Mobile application for dispensary is a great opportunity to improve the quality of work, increase profits and win customers’ favor. What features should a successful app for dispensary have? Primarily, the app should include a search tool enabling users to locate dispensaries based on the region they are in. For more convenience, users should be able to view locations on a map and get directions. The app should provide a product menu with pictures and full required information. Moreover, it is necessary to provide users with a clear mobile form for ordering products. 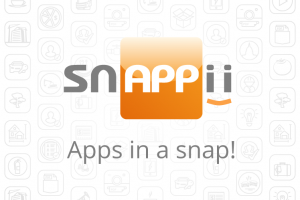 Snappii, an ultra-fast codeless mobile app development platform, is soon releasing a Weed Finder App which will contain all above features and much more benefits for your dispensary. The app will enable dispensaries to build customer loyalty, increase sales and adapt to customer demands. This entry was posted in Blog and tagged General Business, Pharma-Bio by blogger. Bookmark the permalink.